Do you struggle to find important emails stored in your inbox? Are you deleting emails when you shouldn’t? If you receive lots of email messages then it is very important that you organise your email. Yahoo Provides various mechanisms to better organise your emails. The following video covers the main methods of organising your inbox. Note: if you prefer a video then the organising yahoo email video covers the points in the text below. 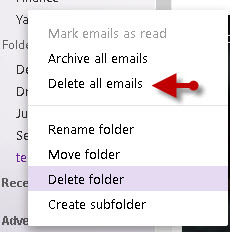 You may need to select multiple emails so that you can delete them or move them to another folder. Click on the arrow next to the check box above the email list and select from one of the options as shown below. 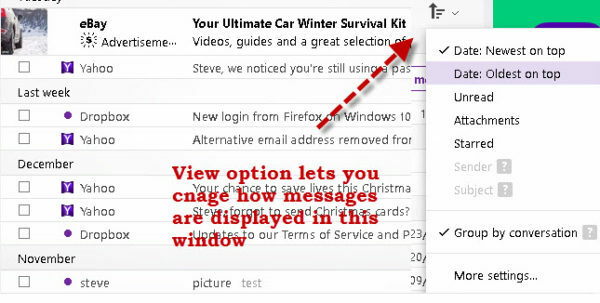 You will see a the selection box next to the email has been selected for the desired option. If you click in the selection box this will select All Emails. The view option lets you arrange how messages are displayed. The default view is for the most recent emails to be displayed at the top. If you wanted to view only unread emails then just clcik on the unread option in the view menu. This is a really quick way of marking something as important so that you can find it easily at a latter date. 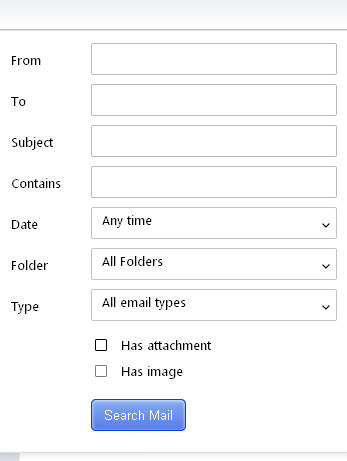 Filters allow you to organise your email as it arrives in your inbox. To set up filters go to Settings>filters. The filter form is shown beolow and you can use it to move incoming email into a folder based on certain criteria like sender,subject etc. Here is a very useful Yahoo video that explains how to create filters. Here is the Yahoo support page on filters. These can be enabled/disabled in the settings. When enabled message email exchanges between you and someone on a particular topic are grouped together. The Greater than sign > indicates that the message is the start of a conversation. I find this one of the best organisational methods, but it can be confusing for beginners. You can do an advanced search by clicking in the search bar. You should see your previous searches below with an advanced search link in the bottom right corner. You can save your searches.The searches are saved under smart views. 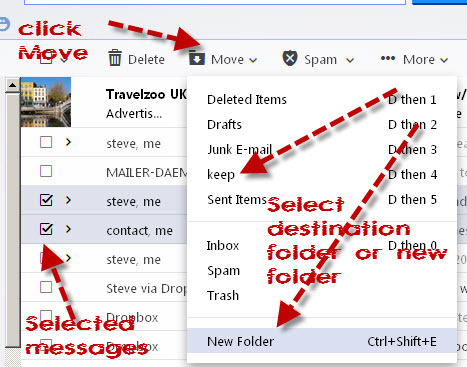 Folders are a common method of organising email in most email clients, and when use in conjunction with message filters they can be very powerful. All email clients create some default folders. 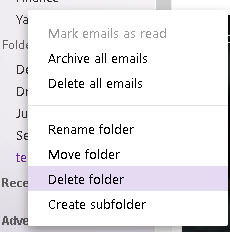 Yahoo creates the Archive, drafts, spam ,sent and trash folders under the inbox folder by default. inbox – Stores all received email unless changed by filters. Archive – Used for storing emails and helps keep your inbox clean. drafts -Stores all mail that is being composed and not yet sent. In addition a folder called folders is created that is designed to store your personal folders. If you don’t create any new folders then the folders folder will normally be empty. 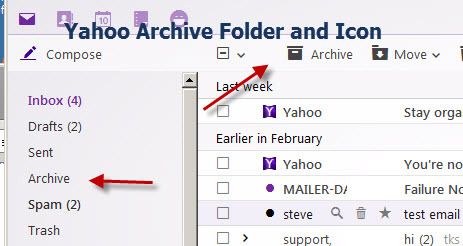 However if you access your Yahoo mailbox using a desktop or mobile client that uses pop3 or Imap4 then you will find that the client creates new folders under the folders folder. Here is screen shot of my Yahoo folders folder. 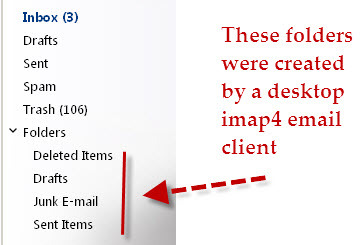 The folders you see were created when I connected an IMAP4 client to the mailbox. You cannot delete folders that have emails in them. You will need to move them first. If the folder exists then select it otherwise click create folder to create a new folder to move the message into. Archiving email means that your email isn’t in your inbox but it is still readily available if needed, and is a relatively new feature in Yahoo Mail. The archive folder is a system created folder, and the tool bar allows you to quickly move messages to it. Note: -It doesn’t replace using your own folders and it doesn’t mean that you shouldn’t delete unwanted messages. You can restore archived email messages to the inbox by going to the archive folder and selecting the messages you want to restore and then clicking the restore to inbox button. To keep your inbox free from clutter you should delete any messages that you are sure you don’t want to keep. If you are not sure then use the archive option. 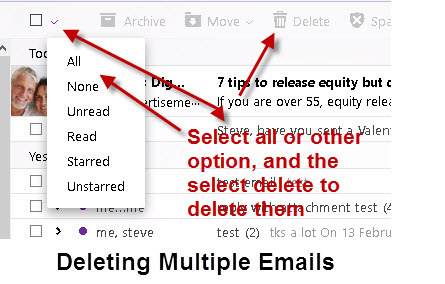 You can delete multiple emails by using the select option to select e.g All, unread etc. When you delete an email message the message is placed in the trash can. Messages in the trash can can be recovered by moving them to a normal folder or they can be deleted completely. 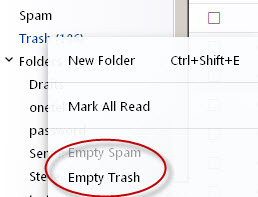 You can delete all messages in the trash can by using the empty trash option > Right click on trash can and select from the menu. You can delete all messages in a folder by right clicking on the folder and selecting the delete all messages option. 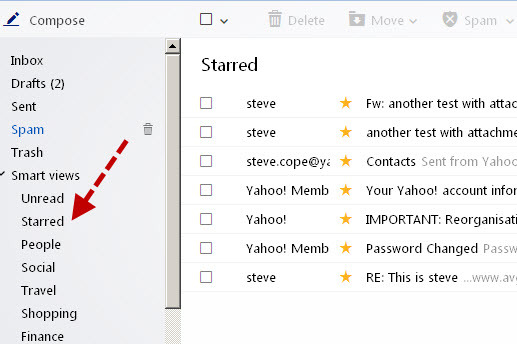 Yahoo offers two blocking mechanisms to deal with email from unwanted senders. They are blocking and banning. Select an an email from the sender you want to block. Select “Send all future emails to Spam,” or “Delete all existing emails” or select both. The problem with blocking is that it doesn’t show you what addresses have been blocked. 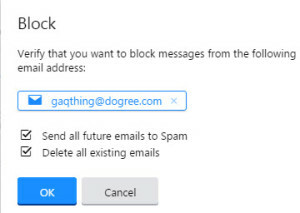 To unblock an address then you need to locate an email from the sender in your spam folder and unblock. Banning senders is similar and easier to manage as you can clearly see which email addresses you have banned. Mouse over the Settings menu icon and select Settings. Enter the email address in the Add an address field. Q- I am applying for jobs what is the best way of organising my job related emails. A- Create a folder called jobs and move all job related email there. You can do this manually or using a message filter. Q- I need to keep track of email sent by 2 people how best to do it. A- This is a classic message rule + folder scenario. 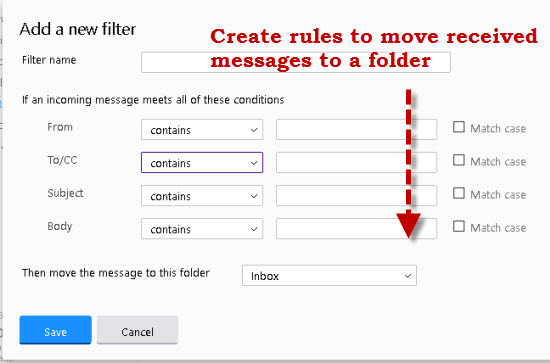 Create a message filter and have all email sent from that person placed in a folder named after that person. Q- I need to find an email that has an import email attachment what should I do. A- You can do a search or use views and sort by attachment. Q- What is the difference between deleting emails vs archiving emails. A- Deleting emails is meant to be a permanent solution to remove emails whereas archiving is a method of moving emails from the inbox but still maintaining access to them . To better handle your email, and not waste time trying to find old emails you need learn how to use the organisational methods that are available in Yahoo mail, and try to stay organised from the start. Creating a New Yahoo Email Account – How to create an new Yahoo email account. 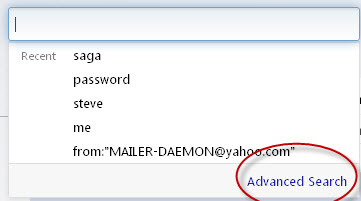 How to send an email in yahoo– New to yahoo email? want to send a yahoo email- Here’s how! How to read,reply and forward Email Yahoo Mail -Understand the difference between reply and reply all and how to forward email to another recipient.